With Zapier, Actions are events that are performed when the Trigger occurs. Demio offers one primary Action around Registering users to your event. This trigger submits a brand new Registration to your webinar event. It's super simple to set up! By default, the Name and Email fields would be available for you to pass in any data pulled from the Trigger. 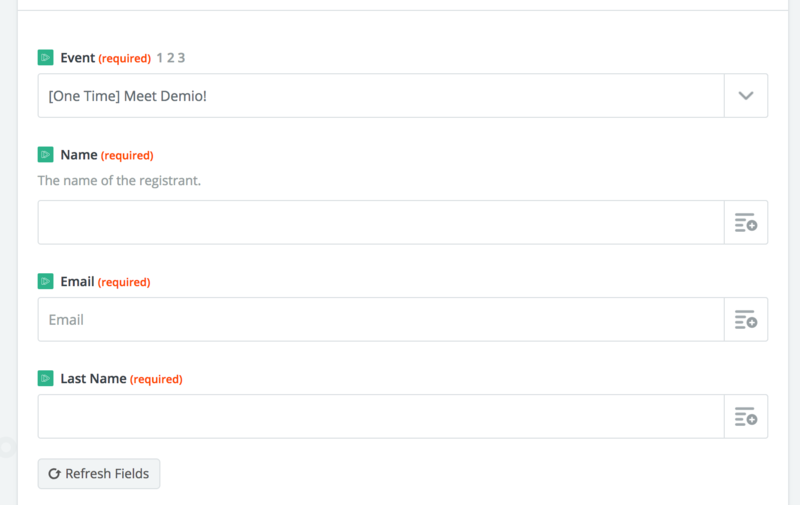 Additionally, once you've chosen an Event from the dropdown, Zapier will pull in any custom fields you've set up on the Registration Settings of your event.